I am an experienced designer with a versatile style and a wide variety of skills. I primarily work with images and data to tell stories about our daily lives. My work ranges from playful to provocative, and I am prepared to take on just about any topic to tell your story. 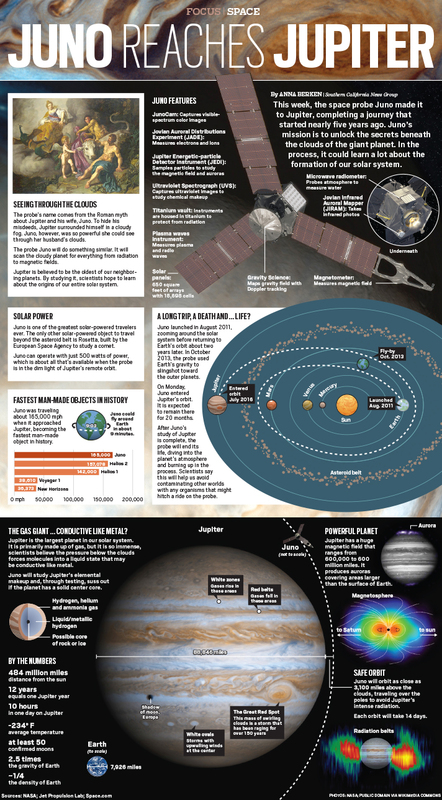 Infographic page outlining the mission of the space probe Juno studying the planet of Jupiter. Published the day the probe reached the planet.